Google Fit stands as one of Google's only flagship apps on Android Wear, and may be the only one of its apps that matters more on a watch than it does on a phone. There's a new version of the app available on the Play Store for both watches and phones, but this update is all about adding a big feature for Wear. There's a new mode for recording strength training and similar activities that involve counting reps. This update is for Wear 2.0 only, so quite a few people will have to wait until the rollout is complete before testing this out, but it works on the last developer preview as well as any watch that already has the official 2.0 firmware. There's a new update to Google Fit rolling out to [aspiring to be] healthy Android users, but there aren't any obvious signs of changes from just looking at the app. A little digging around under the hood reveals quite a bit is either in the works or just about to launch, including hydration logging and counting reps at the gym. We might also get to track climbing data soon and get notifications for activities that Fit isn't 100% confident about. Oh, and there are some more round icons because it was bound to happen eventually. 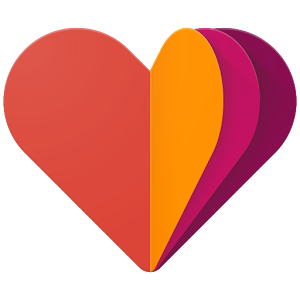 Last week, a fairly major update to Google Fit came with a fresh coat of paint for the interface and a few important feature enhancements. It now supports multiple goals with more options, weight tracking, new metrics, and quite a bit more. It wasn't a complete overhaul, but it certainly looks and feels like a whole new app. But that's not the whole story, there's actually quite a bit more in this update that hasn't emerged yet. A teardown reveals some other features that will either activate soon or turn up with the rollout of future updates. But before we get to that, there were actually a couple more things that popped up since the first post. 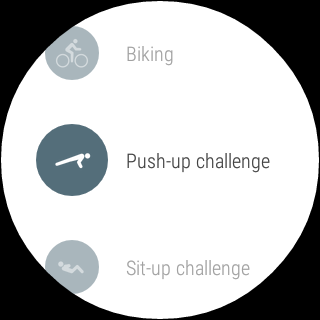 It's been a long time since we last saw an update to Google Fit, but after some subtle hints during the Android Wear presentations during Google I/O, it was fairly obvious something big was in the works. An update to v1.57 just started rolling out and it may just be the start of a whole new Fit. There are huge changes to the look and at least a few changes to features. One of the worst things about fitness tracking apps is that they often require users to tell them when an activity starts. This can be a pretty big inconvenience, especially for people that keep their phones stowed in closed pockets or an arm band without easy access to the screen. The latest update to Fit might save many people from having to reach for their phone at all. 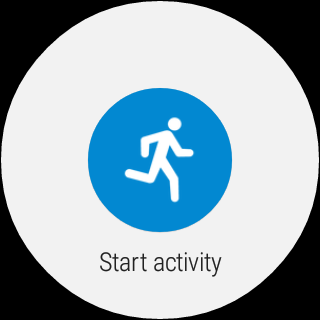 Wear users can now start and stop activity trackers directly from the mini-app. The main phone app doesn't seem to have any notable changes, so this update is all about Wear. A very long-awaited update to Google Fit began rolling out earlier this week, but it seemed to focus almost entirely on improvements to the Wear micro-app while the main app was all but ignored. As it turns out, that was a mistake. A fresh update to the app started rolling out yesterday and it brings the rest of the features that were intended for this release – and what a list of features they are. Note: Everything here was about to be part of a teardown, but the update stole that thunder. It's been a while since we've seen a true update to Google Fit – about 6 months if you don't count a version that turned up in the final M Developer Preview. You might even say the app got a bit flabby over the summer. (Sorry.) The latest version began rolling out yesterday and it's featuring a couple of big changes for Android Wear, including a brand new watch face and a trainer mode to help you get in shape. The main app also went through a couple of changes, but they're nothing to get excited about. However, check back later for a pretty big teardown – some big things are happening. 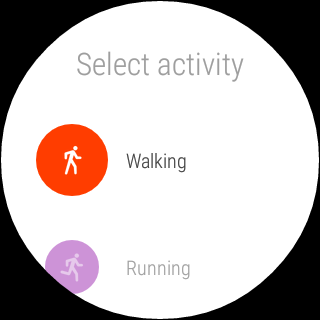 [Weekend Poll & Discussion] Do You Use Google Fit? Do You Like It? Having Problems With The App? Google Fit is, like most things Google publishes on the Play Store, popular by necessity. The fitness and activity tracking service debuted around the time Android 5.0 did, and people were understandably excited. After all, a built-in fitness and activity tracker app only makes sense on a smartphone full of sensors, and Google is well-renowned for its number-crunching and algorithm-refining prowess. 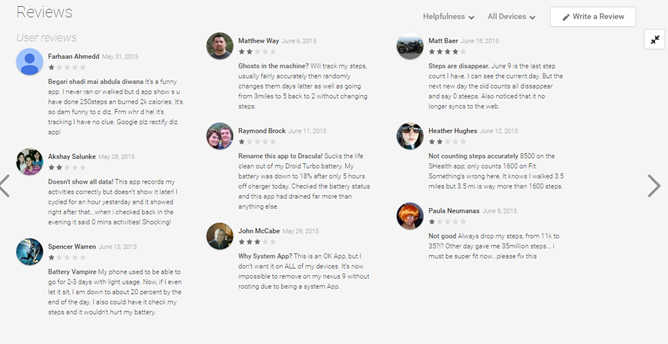 But reviews of the Google Fit app on the Play Store are pretty brutal. While the app maintains a 4.0 overall rating, even Google's polarizing Inbox app manages a 4.2, and it's clear that many users of Fit are having significant battery drain issues since installing the app.